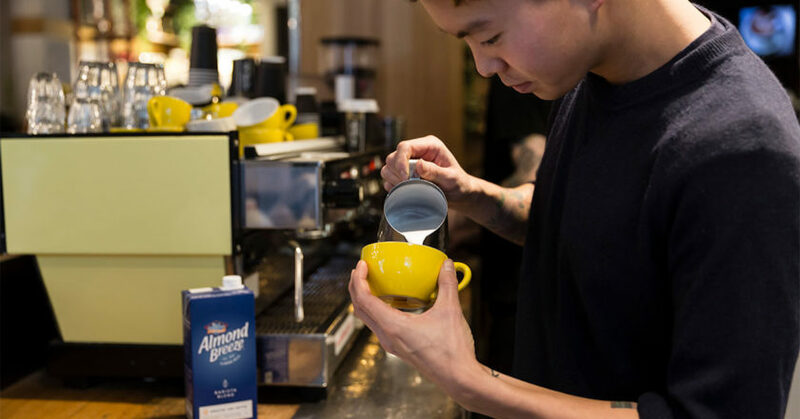 Almond Breeze Barista Blend has announced the launch of Australia’s first National Barista Day on 1 March, 2019. With the soon-to-be annual event, Almond Breeze Barista Blend celebrates the people behind the beans and machines who are keeping Australia’s booming coffee scene thriving, one expert pour at a time. “With the barista being the tenth fastest growing job in Australia and with there currently being over 40,000 baristas in Australia, Almond Breeze Barista Blend felt it was time there was a day dedicated to celebrating our hardworking bartenders of the morning,” says Michael McNulty, Country Manager for Australia and New Zealand Almond Breeze. Almond Breeze Barista Blend is encouraging Australians to nominate their favourite barista, or themselves, for a cash prize at BaristasforBaristas.com/NBD. A panel of industry experts will judge the entries and decide the winners, with the prize pool including a time with a world leading barista champion and access to a global platform to help support and inspire future generations of baristas. Voting is now open and closes 11:59pm on 28 February, 2019. For more information, visit Almond Breeze Barista Blend on Instagram at @BaristaBlendAus and Facebook at @AlmondBreezeAus.